The holiday season seems to be the time for DIY decor. I don’t know if it’s an attempt to avoid spending bucket loads of money on spendy store-bought decorations, or just the endearing memories that are created sitting around a table together getting our craft on, but even the most creatively-challenged amongst us seem to be up for a DIY or two this time of year. 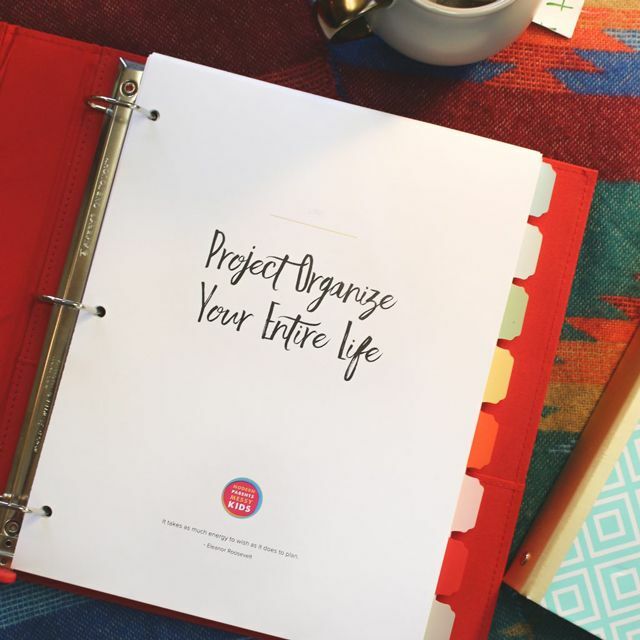 I think it’s fantastic, of course, and today we’ve got the perfect activity to get your started. 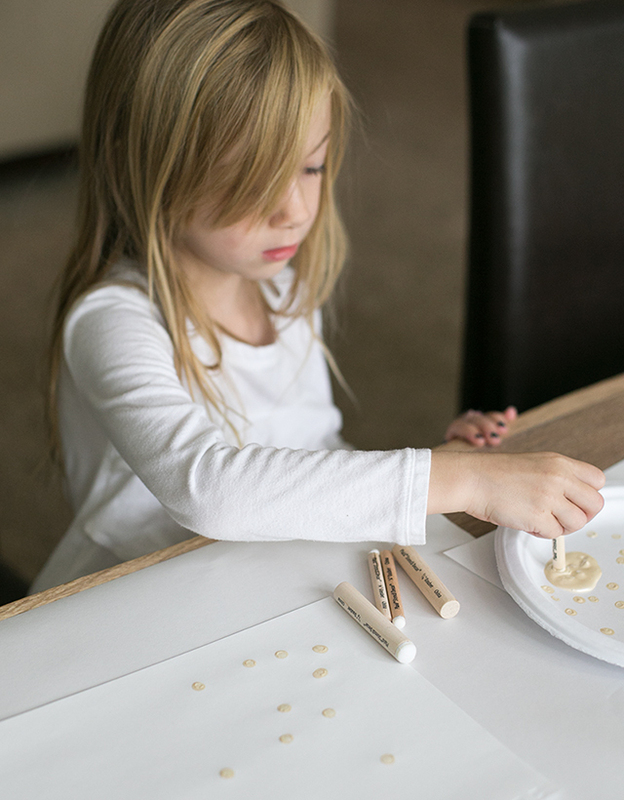 It’s one of those rare projects that’s simple enough for preschoolers to try, open-ended enough for bigger kids to get really creative with, and results in some truly stylish modern decor. Last year we visited relatives during Thanksgiving and traveled over Christmas, so this will be our first time celebrating the holidays in our own home. My daughter and I both love holiday decorating, so this year we decided to create our own napkin designs for our family gatherings. 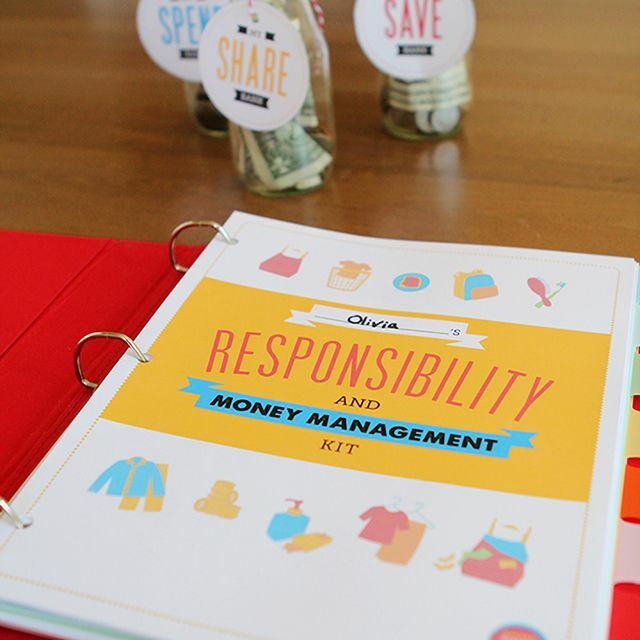 This is a wonderful project because it can be as simple or elaborate as you want and can be adapted to suit a variety of age levels. I started by choosing the color palette myself, mostly because I didn’t want to incorporate pink and purple into our holiday table decor. We have a set of polka dot linen napkins that I love but hardly use because we only have 6, which doesn’t seem to be enough for gatherings when we’re actually using linen napkins. 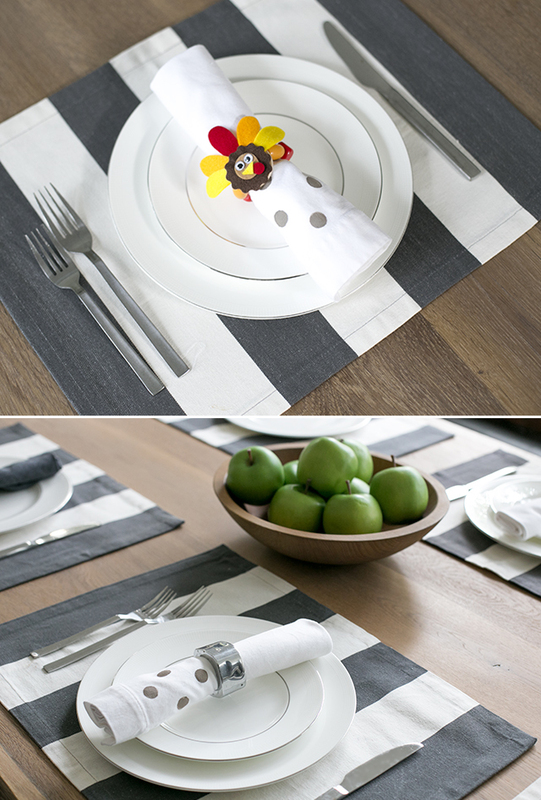 The napkins below, as wells as our striped placemats, were my starting point for the palette. In the end I landed on a fairly neutral palette that could be used for Thanksgiving or Christmas and could still work during the non-holiday times as well. I’m practical that way. I also thought quite a bit about the pattern. I wanted something easy for my daughter to create and that wouldn’t end up too messy or handmade looking for our (slightly) formal occasions. I collected lots of ideas about making our own stamps, and love this post about making stamping blocks with a repetition of shapes. 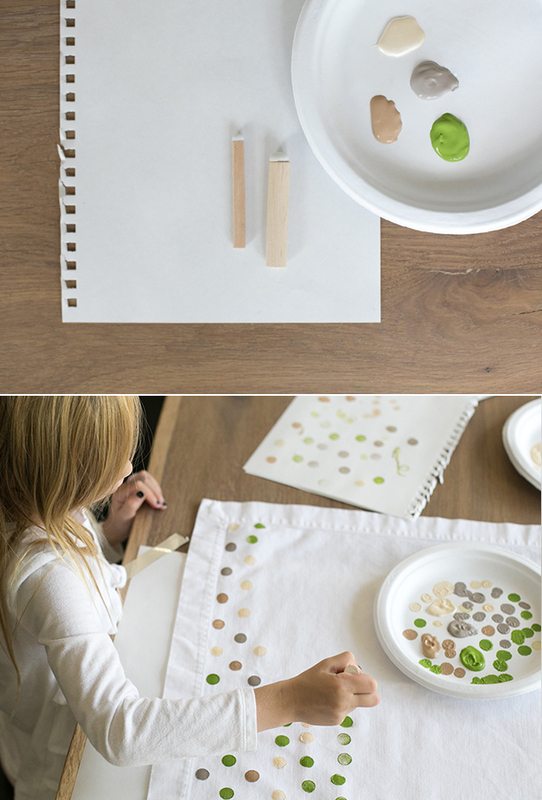 For older children, this would be a great way to incorporate the art of block printing into this project. 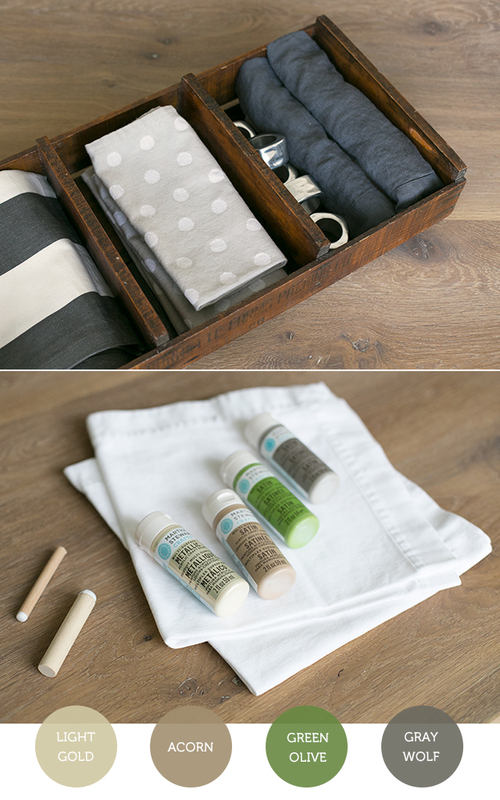 In the end, simplicity won and we went with an easy-to-create polka dot pattern as our design. Once we had our colors selected, we ran through a stamping practice session on paper to get used to how much paint should be on the dauber and how much to press down to create a complete circle. Next, we moved on to the napkins. I put a little bit of each color on a paper plate and kept a sheet of paper nearby to dab any excess paint off the dauber. We made a couple of different designs – some used all 4 colors and some used a single color – just to mix it up a bit. Once the paint was completely dry, we rolled up the napkins and placed them into napkin holders to see how they look on our table. The napkins work great with our basic napkin holders and the Thanksgiving-themed versions Jenna recently made. Most of all, I know my daughter will enjoy talking about her contributions to our Thanksgiving table during our upcoming holiday meal.